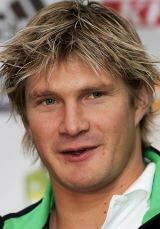 Shane Watson, who became the first batsman in the world to wear a camera in his helmet, is a brazen fan of the latest innovative technology and believes it could be used in one-day international or Test cricket in the future. Watson said he was enthralled by the experience during the Brisbane Heat's Big Bash game at the Gabba last Sunday. The helmet camera gave viewers an eagle-eye view of what it feels like for batsmen to have 145km/h thunderbolts coming directly at them. Watson said the innovation could be taken to the next level, claiming it was less disturbing than the floating aerial 'Spidercam' used during Tests this summer. "During a Test, Spidercam can move around a lot and you can feel it around you. But the helmet cam, you are not feeling it at all. It is just absolutely normal," News.com.au quoted Watson, as saying to an Australian newspaper. "I know Spidercam gives you amazing pictures, but with a camera on your helmet you are getting a pretty good bird's eye view of what is coming at you," he added. "With one-dayers and Test matches you would have to be a bit more careful with how you use it, but in the end I didn't feel it was there at all when I wore it," he said.